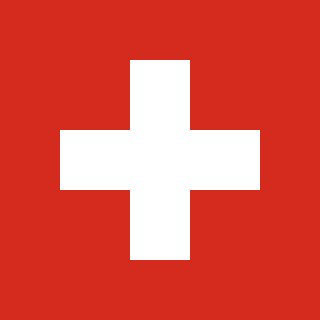 In 2002, Switzerland was ranked #16 on the Reporters Without Borders Freedom Index. Two years later, the Swiss country fell into the top ten freest speech and press countries at #8. In 2007, the country bottled back up to #11 on the chart. Currently, on the 2011-2012 Reporters Without Borders Freedom Index, Switzerland is back at #8, a lower ranking compared to the #6 rank the country claimed just last year. It is predicted that the freedom of speech and freedom of the press will continue to decline. Overall, compared to ten years ago, the country’s freedom of speech and press has improved. Switzerland is a country that tends to yo-yo on the Reporters Without Borders Freedom Index. The Swiss land has a democracy which enables free speech and press; however, Switzerland has taken it one step further to form a direct democracy. However, it is facing a current restriction issue based on hyperlinks. The United Nations adopted the Universal Declaration of Human Rights in 1948, right after World War II. The Grand Chamber of the European Court of Human Rights was called on to recognize Article 19 in the Mouvement Raelian Suisse v. Switzerlandcase.The Mouvement Raelien Suisse v. Switzerland case is based on suppressing freedom of speech in Switzerland. Swiss authorities refused to allow an advertisement campaign that supported the Raeliens, a religious group based in Switzerland that believes mankind was created by extra-terrestrials. The authorities claimed that the organization engage in “immoral activities” consisting of pedophilia and cloning. A website was displayed on the posters to promote the organization. The First Section of the European Court of Human Rights focused on the content of the website, noticing a link that brought the Internet user to a website for “Clonaid,” an independent scientific research laboratory that practices an illegal activity in Switzerland. Article 19was called on by the Grand Chamber of the European Court of Human Rights, to recognize the role that hyperlinks play in facilitating a definition to a word or phrase in the story. The Internet is used as a medium for sharing information and ideas that can only be accessed through the users’ mouse click. Ultimately, it’s up to the user to access the hyperlink, assuming that it may bring them to another website. If the Grand Chamber of the European Court of Human Rights penalize a website merely on the basis of a hyperlink, there will be a chilling effect on the freedom to impart information on a website.Suppression of speech is hard to do in a country that is ranked in the top 10 that allows for freedom of speech and press. On the other hand, the Swiss government doesn’t handle denial of genocides lightly. While the denial of genocide is not taken lightly, some Swiss do not seem to hesitate when it comes to offending a belief. The majority of Muslims were offended after Swiss newspapers published cartoons that depicted the prophet Muhammad. Although, the Swiss media are free from editorial and government interference, they are expected to follow the penal code, which prohibits racist or anti-Semitic speech. In September 2005, ten editorial cartoons depicting Muhammad were published in Jyllands-Posten, a Danish newspaper. The publication began a nationwide discussion about freedom of speech and press. Other Swiss and European newspapers, such as the Politiken in Denmark republished the drawings. The Politiken was covering a story on Kurt Westergaard, one of the cartoonists for the Jyllands-Posten editorial cartoon. A Muslim organization demanded Denmark Politiken editor Tøger Seidenfaden to apologize, but he refused. Seidenfaden claimed that it was the paper’s duty to reprint the cartoons as part of its news coverage. However, five years later, the newspaper was faced with a law suit by several Muslim organizations. The Politiken issued an apology in 2010 saying that it wasn’t the paper’s intention to offend anyone. This caused an uproar in the journalism field and among readers. The Swiss people began to question the right to freedom of speech. The apology shamednot only shamed the sister paper, Jyllands-Posten, but also Westergaard. Westergaard was aware of the potential danger when drawing the cartoons, but also understood that it was protected under his freedom of speech, so he drew. Other citizens claimed the apology to be “absurd” and a “sell-out” move, believing that other Danish newspapers should reprint the cartoons as a protest to the apology. Click here for more information. Freedom of speech and freedom of press intertwine with one another. If there free speech did not exist, then the free press would not have sources. A similar issue on protecting a source and the freedom of the press surfaced in 2007. Three reporters for SonntagsBlick faced trial by a military court for publishing a secret service document from the Swiss Foreign Secret Services that revealed the existence of secret prisons run by the United States Central Intelligence Agency and the secret transport of CIA prisoners in Europe. The military claimed that the leak was against Article 293 – it’s a criminal offense to disclose an official secret. Therefore, the military tried, once again, to lift Article 27 for protecting sources. The European Court of Human Rights overturned the ruling, arguing that a reporter’s right to protect his or her sources superseded the domestic Swiss judgment. Fellow journalists argued that as civilians the three reporters should be brought to civil court, if any, especially on cases regarding the publication of anything that the government would prefer to be kept secret. A democracy typically leads to a free press, which in turn needs journalists to report the stories gathered for publication. A journalist’s goal is to inform the public, not receive jail time, especially for unknown reasons. In 2008, at a protest in Berne, three journalists were arrested for unknown reasons. The European Federation of Journalists (EFJ), the European regional group of the International Federation of Journalists (IFJ), complained that Berne Police misused their power and kept the reporters in custody for unknown reasons. The Swiss reporters were covering a peaceful demonstration in Basel and Berne. However, this isn’t a new scandal between journalists and the Swiss police. In 2003, a British Freelance photographer, Guy Smallman, was seriously injured by the Swiss police at a protest in Geneva after they fired several stun grenades into a demonstration. The IFJ claimed that the media staff had been injured in a number of incidents around Europe and North America while covering anti-globalization marches and protests. And just two years before this, an Al-Jazeera journalist was denied entry to Switzerland in October 2001. At the time, IFJ claimed that journalists and media staff were being prevented from working “for reasons of censorship and political self-interest, not security or public welfare,” according to ifex.org. The journalist, Ahmad Kamel, had been granted access to Switzerland without a visa before, but this time was different. He was detained at Geneva airport, and then sent back to his work in Brussels. The Zurich authorities took NZZ am Sonntag to court to reveal the anonymous sources published in their story. Fortunately, the case was tried at a higher court, having Article 27 confirmed, unlike Branzburg v. Hays. The U.S. Supreme Court ruled it necessary for Branzburg, a reporter, to disclose the anonymous sources used in his story. The sources in the Louisville newspaper story claimed to synthesize hash. The SonntagsBlick published a secret service document, which parallels to the Pentagon Papers being published in New York Times v. United States.The Court ruled it unconstitutional for Nixon’s administration to prevent the publication of “classified information.” A brief filed by the New York Times explained that a subpoena shouldn’t be enforced against a journalist unless the government didn’t believe the reporter’s credentials in an anonymous source, showed relevancy to a probable crime, or showed a compelling interest on the information. However, unlike America, the Federal Supreme Court in Europe only gave one exception – that there must be factual evidence to reveal the sources. In Europe, they ruled that it is a journalists’ duty to remain true to their information given by the confidential sources. Regarding the free speech issues, all of them seem similar to Brandenburg v. Ohio. This case covers a multitude of restrictions on free speech if the Court had sided with Ohio. This case ruled that speech can only be prohibited when it incites or produces imminent lawless action. However, speech should remain free, if it doesn’t cause direct harm. In the Mouvement Raelien Suisse v. Switzerland case, it would seem preposterous for a free press society with unlimited access on the Internet to put restrictions on hyperlinks. In Brandenburg, he informed his audience of the Ku Klux Klan’s actions, but doesn’t force them to take part in it – just like a hyperlink. Both are just more information to be learned by the listener/user if chosen; neither incites harm. The Brandenburg case is also similar to Bagis’ claim to deny genocide. Brandenburg makes it clear that the African American and Jewish people should remain inferior to whites. This is a clear expression of freedom of speech. In Switzerland, it is illegal to deny genocide. However, it would’ve been outrageous if Switzerland fined Bagis just because he chose to exercise his right of freedom of speech; it isn’t illegal in Turkey to deny genocide, only Switzerland. What it boils down to is that neither of the remarks incited harm. Currently, America is ranked # 47 on the Reporters Without Borders freedom of press and speech index. Switzerland is ranked # 8. Switzerland is very open to free speech, which America seems to be warming up to. Although, Switzerland tends to totter in the top 20 and top 10 on the index, it seems fairly clear that the country will never drop below 20, unless a stricter form of government arises. Because Switzerland allows for so much free speech, the press remains very free, compared to America. It’s essential for a democracy to have a free press – but it depends on what form of democracy is governing. In a representative democracy, freedom of speech and press seem to be more contained compared to a direct democracy. Due to Switzerland having a direct democracy, where people are directly involved, the freedom of speech and press seems to be freer. (1) Höchli, Marc. The Invisible Scissors. New York, New York: Peter Lang, 2010.